The mystery of the Hollow Night is unfolding before you. At the center lies the Abyss, an unimaginable and uncontrolled phenomenon that threatens all. Experience the full story of Under Night! Take the fight online in the “NETWORK MODE” and play against other players around the world! Choose from both “RANK MATCH” and “PLAYER MATCH” to find your opponents. There’s also a global leader board for players who wish to be in the hall of fame! Pick from one of 20 characters and fight your way through the dangers of the “Hollow Night”. Claim your victory over those who would get in your way. Activate the new Veil Off mechanic within a combo to send your opponent flying back with a shockwave, allowing for combo extensions! During “Cross-Cast Veil Off”, you will have access to special moves such as Infinite Worth even if your EXS is at 100. This gives you the chance to inflict serious damage with your combo! Experience intuitive and tight 2D fighter controls, with a splash of devastating combos and unique fighting styles to keep your appetite for battle sated! Under Night In-Birth Exe:Late[st] is Out Today on Steam! 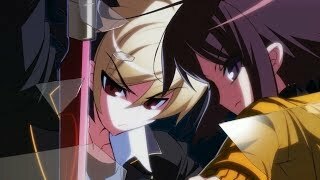 UNDER NIGHT IN-BIRTH Exe:Late[st] is Coming to Steam on 8/20!